I've had a busy month prepping my new website, working on my portfolio and finishing up my work over at The Art & Business of Surface Pattern Design, Module 3. I can hardly believe class is over! I've learned so much this year with all the classes I've taken and have enjoyed the process along the way. 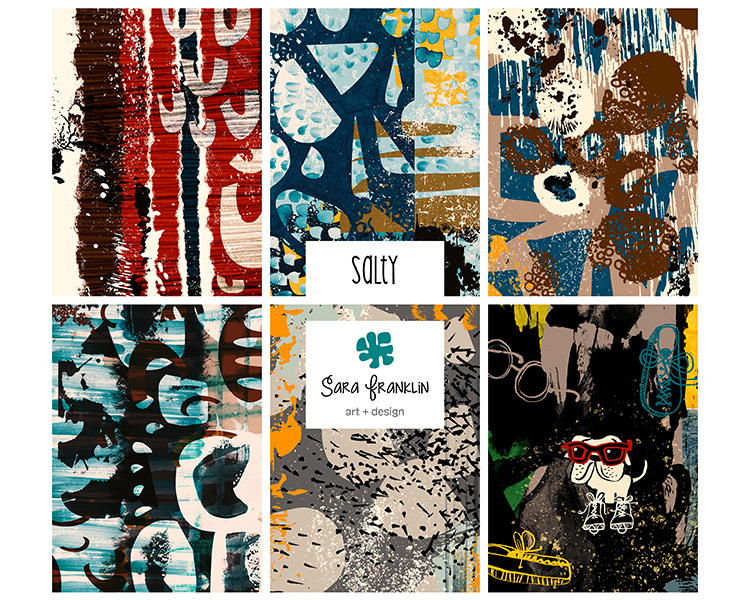 I really enjoyed making these textures and am excited to reveal this new collection called Salty. Salty is available for art licensing. Contact me for details.